First of all let me say ahead of time...I AM VERY SORRY. I have completely dropped the ball on supplying this information to you, with that said lets get to the good stuff. 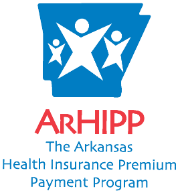 The Arkansas Health Insurance Premium Payment (HIPP) program is sponsored by Arkansas Department of Human Services, Division of Medical Services. HIPP is designed to save money for Medicaid clients with high healthcare costs by reimbursing all or a portion of the cost of their health insurance provided by an employer or COBRA and by eliminating some of their out-of-pocket medical expenses. In some cases, clients may qualify to receive reimbursement for the premium cost of a family health insurance policy. HIPP membership is completely free for those who qualify and does not affect eligibility for Medicaid. Not currently insured through your job? When you qualify for HIPP, federal law makes it possible for you to enroll in employer-sponsored health insurance at any time of the year. The Arkansas HIPP program is specifically for qualifying Medicaid clients and their families who have access to group health insurance through a job or COBRA. Reimbursement for the monthly cost of all or a portion of group health insurance provided by a job or COBRA. Access to a wider network of doctors through group insurance coverage. Healthcare for your entire family, even family members who are not eligible for Medicaid, if found to be cost-effective for the State of Arkansas. Can I receive benefits from Arkansas HIPP and Medicaid at the same time? Yes. To qualify for the HIPP program, an applicant must be eligible for Medicaid within the state of Arkansas. You will have access to benefits from both programs for as long as you qualify for each program (separately). Will Arkansas HIPP pay for my entire family’s health insurance coverage? In some cases, an applicant will qualify to be reimbursed for family health insurance coverage. This depends on the health insurance policies your employer provides as well as the family plan’s cost-effectiveness. To be eligible for the Arkansas HIPP program you must have access to group health insurance that is offered by a job or COBRA. Consolidated Omnibus Budget Reconciliation Act (COBRA) is a federal law that allows former employees to continue health insurance coverage for 18 – 36 months after leaving a job. If an applicant has access to COBRA, the applicant meets the insurance requirement for Arkansas HIPP. If all other qualifications for participation are met, HIPP will send you monthly reimbursements for all or a portion of the cost of the COBRA plan. Am I eligible for Arkansas HIPP if I have insurance that is not provided by an employer? No. Arkansas HIPP is offered to clients who have access to employer-sponsored insurance or coverage through COBRA. Call our toll-free line 1-855-692-7447 to start your application over the telephone. 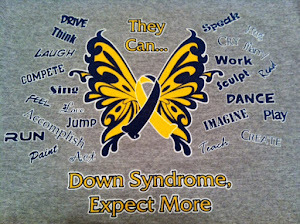 We had on of or local moms put this together for additional assistance. Thanks Amy Kinnard. 2. Better to email (customerservice@myarhipp.com) all your documents instead of faxing. *If you don't have access to a scanner, take pictures of each piece of information to send as jpgs instead of pdfs. 3. If your spouse is the policy holder, have him/her call and add your name to the account. He/she will need your date of birth and social. Failure to do this means that you won't even be able to call in and check on the status of the account. If your spouse doesn't have time to call, include a letter signed by him/her with the needed information to be sent along with the other documents. Only the person who is the primary insurance holder will be able to make changes or request information. 4. As soon as possible, find out what case # has been assigned to your account. Add this number to EVERY piece of information you email!!! 5. After emailing your documents, call a few days later to verify the information was received and linked to your account. 6. Create file folders both on your computer and inside your email account to store the pdf documents you sent and the actual emails sent so you have record and can quickly "re-send" if you are told the email in question was never received on their end. 7. Keep a telephone log. Write down the date, time and customer service reps name, and a brief description of what was discussed each time you call. 8. Understand that the person you are talking to when you call customer service is based in North Carolina and will have to send all your information over to your case worker in Arkansas.